It’s time for chambers of commerce of every size to walk away from 20th-century rules and fully embrace online marketing. Storytelling is one of five proven tactics that will increase member engagement through online interaction. Content is critical for engaging members and prospects, so don't overlook the power of storytelling. Outline a member’s pain points or something they struggled with. Describe the solution they found to the problem, such as the benefits received from joining your organization. Highlight the positive outcomes which followed the solution. Your members joined for a reason. They have challenges for which they believe you have solutions. Prospective members with similar issues would love to learn how your members solved those issues, so let them do the talking. Why Member Engagement No Longer Means Face-to-Face. Social media gives you an open forum to your entire community, not just members. 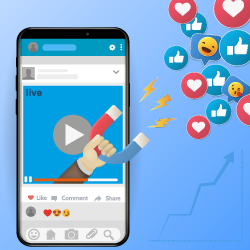 If your Facebook page becomes a regular source of information and thoughtful discussion, you’ll draw a much larger audience and more awareness. Consumers trust the wisdom and recommendations of peers and professional groups more than those of companies or organizations. Face-to-face interaction still has great value, but it’s not the only way to build commitment and a sense of belonging. SEE ALSO: Using Stories – Snapchat, Instagram, and Facebook.